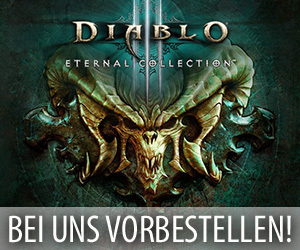 Mit dem kommenden Patch 3.4 und der in diesem Update enthaltenen Umgestaltung der Rangliste werden die Entwickler von Starcraft 2 auch wieder eine Reihe von neuen Spielfeldern in dieses Strategiespiel implementieren, die dann alle für die anstehende dritte Saison von Legacy of the Void bestimmt sind. Passend dazu wurde in der vergangenen Nacht nun ein neuer Blogeintrag auf der offiziellen Internetseite von Starcraft 2 veröffentlicht, der die mit Patch 3.4 erscheinenden Spielfelder jeweils ganz genau vorstellt und neben Bildern zu diesen Maps auch einige Erklärungen der Entwickler beinhaltet. Wer sich also für die neuen Spielfelder für die anstehende Saison interessiert, der sollte sich folgenden Text durchlesen. 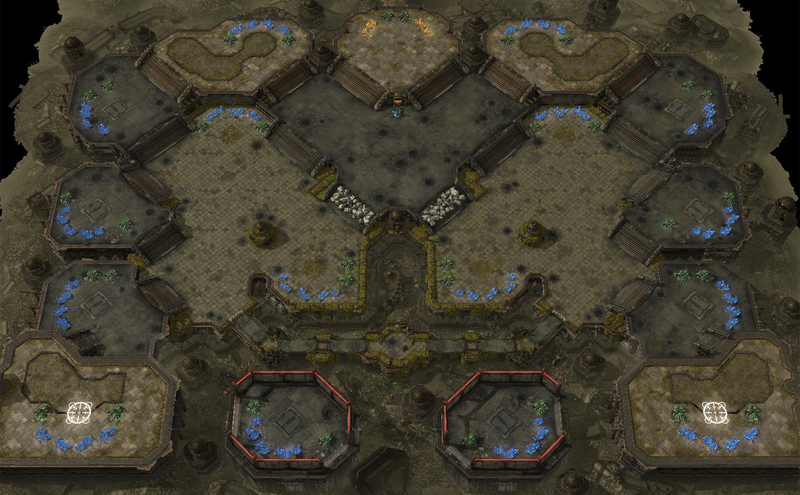 The upcoming Ladder Revamp will bring with it a series of new maps. 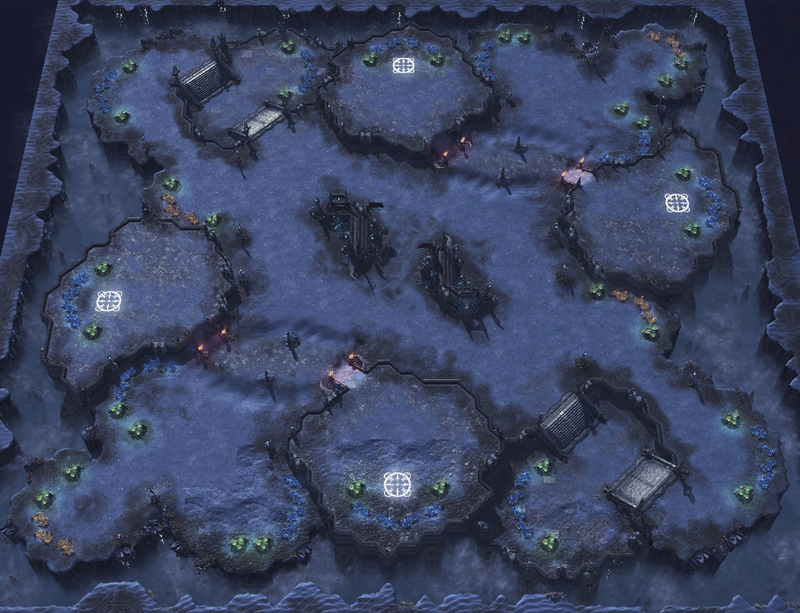 These will become the new map pools for Season 3. 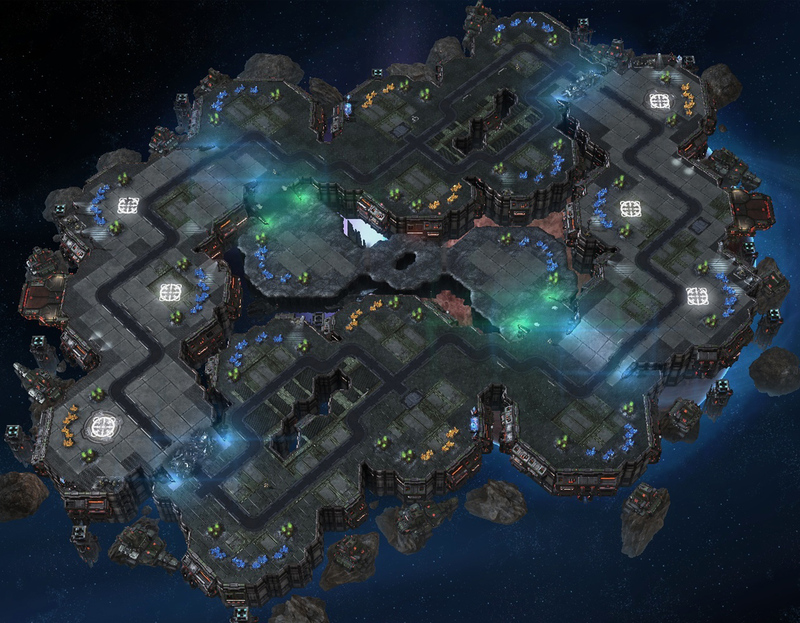 Below, we’ve provided images and descriptions for each of the new maps coming to StarCraft II ladder competition, whether that be in the solo 1v1/Archon format, or in a team game format. Read on to learn more! 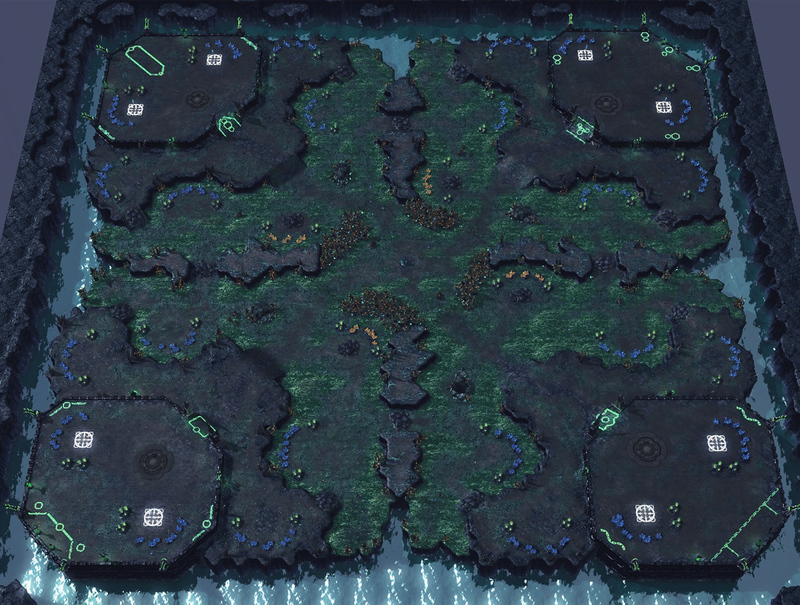 Apotheosis was the highest voted macro map, and also the 2nd place overall voted by the players during the Team Liquid Map Contest 7. 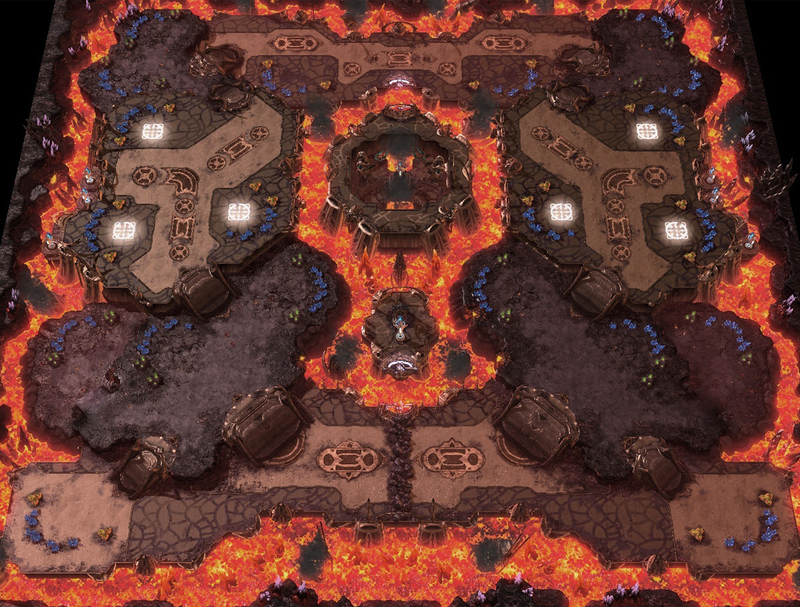 The combination of the nearby gold-expansion along with the Destructible Rocks that can be used offensively looked to be a cool unique feature of this macro map. Not only is this a genuinely unique map from the “new map types” category, it is also a strong rush-map. We wanted to add one new rush-map into the map pool this season, and this one was a stand-out map that also scored fairly high on the list. Galactic Process was also a top-voted map that uses a proven concept displayed in a fun map-archetype from the past. Although the general map layout is somewhat similar, there were solid additions in the form of rocks by the 3rd base location and a set of backdoor paths on the sides of the maps that the players can utilize to assault the enemy’s natural expansion. New Gettysburg caught the attention of both us and KeSPA pro players as early as the submission stage of the contest. 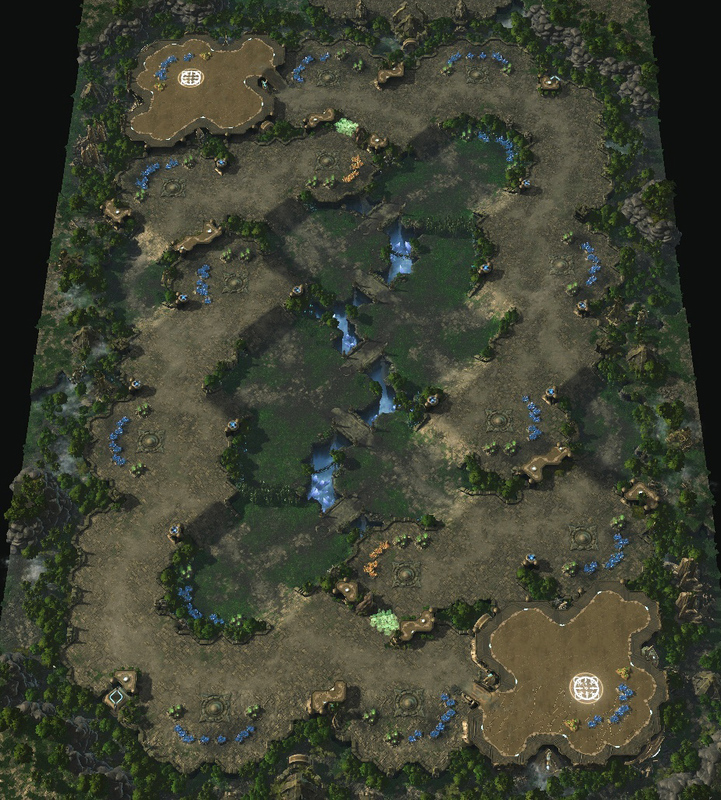 Since then, we’ve been working together with KeSPA and ‘Jacky’, the creator of the map, to improve it even further. We were aiming to use it as one of the new maps even before the results of the contest came in. However, we were also pleasantly surprised to see that our community agreed with us on the quality of the map as it was voted to be the number one map of this season’s Teamliquid map contest. 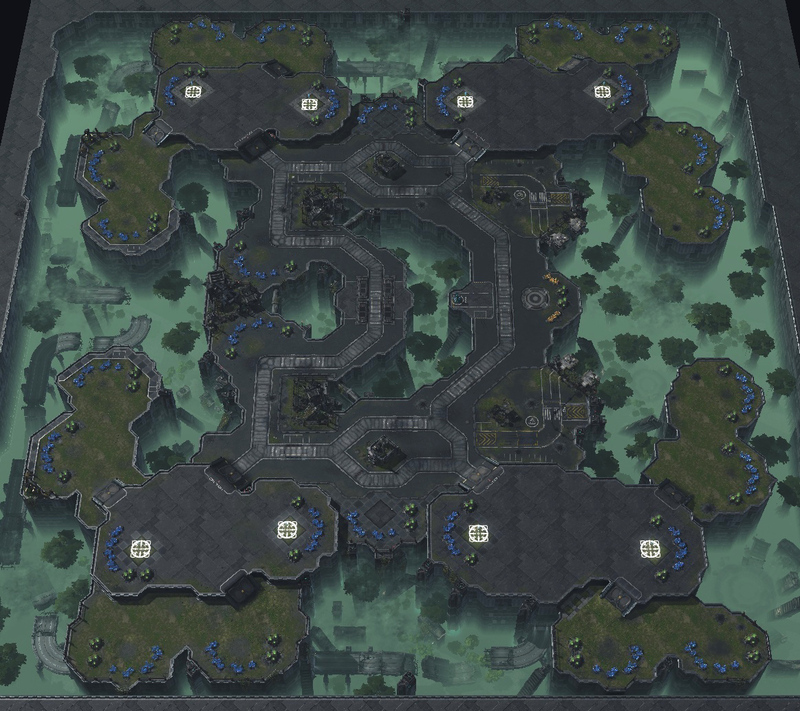 In addition to the community 1v1 maps we’re introducing this season, we put a lot of effort into creating team maps that will hopefully bring a variety of new experiences! 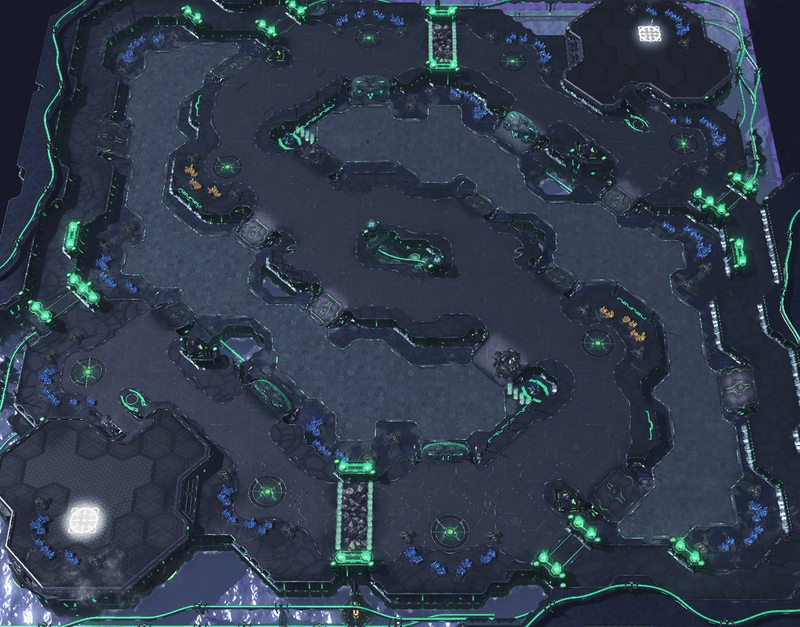 Shrines of Lizul features very short rush distances as well as teammates who spawn separated from each other. These factors, in combination with the fact that there are two early-game high yield expansions available to each team, will cause the map to favor aggressive containment strategies. 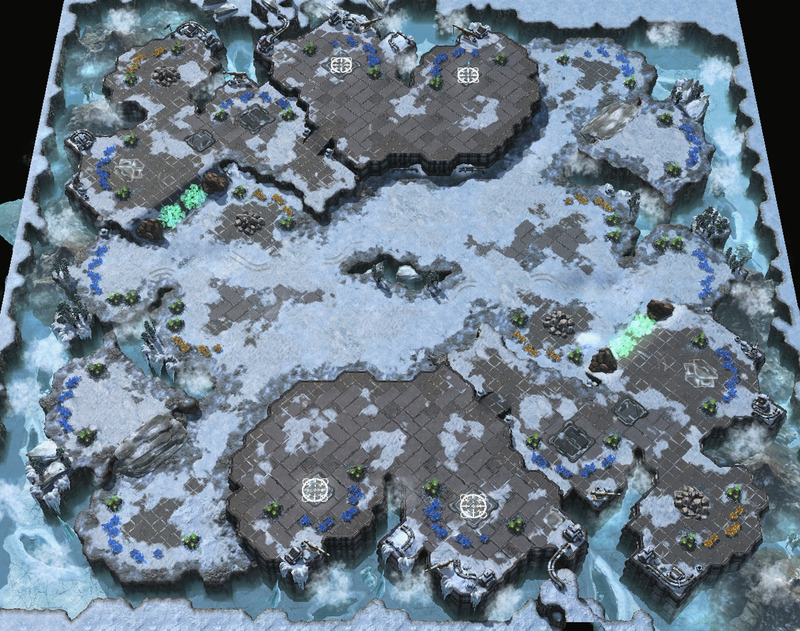 Contrary to the first map, Snowy Mesa is a heavily fortified map that will favor later game strategies. Not only do the players on each team start together; it’s also easier to take expansions. On top of all of that, the ramp leading to the main expansion location can be completely blocked off by breaking the Rock Towers. We expect to see macro heavy games on this map. There are two main paths to the opponent on Molten Temple. The northern path features a short rush distance but with narrow ramps that will favor the defenders. The southern path is longer, and more wide-open, but it is blocked off at the beginning by Destructible Rocks. The key point of this map will be strategizing around the early game rush distances while making sure to scout for when the rocks will be broken down. Because the blocked-off path in the center is quite far away from the base, it’ll be important to keep a close watch at all times. Orbital Depot offers the opponent three main attack paths. The shortest path has many narrow choke points, so this path will mainly be used during the earlier stages of the game. The other two nearly identical paths are the key features of this map. Because these two paths don’t provide clear advantages or disadvantages and are quite far away from each other, we believe more mobile armies will make better use of these, and strategies revolving around those units will most likely be more favorable. Garden of Shadows is a map where two of the players on each team start next to each other. The main area to attack is through the center that can be watched over by the watch tower, so we expect players to constantly be fighting over the control of this center location. 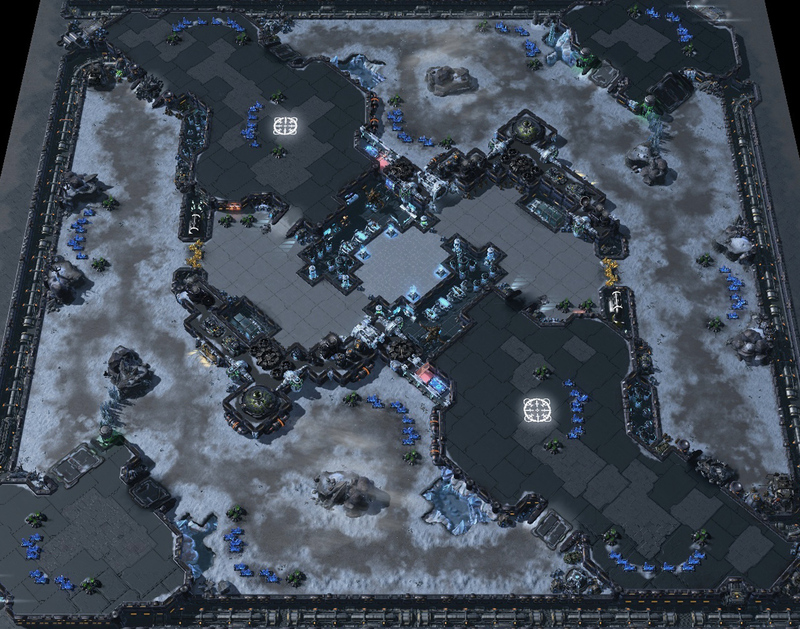 Lastly, Rooftop Terrace is also a macro map where expanding and defending should be easier than on most maps. There are two paths to the opponent, but one of the paths actually watches over a part of the other path, so being careful to play around this fact will be important. We hope you enjoy the maps coming this season! Let us know your thoughts and feedback on what you’ve seen above in the comments section below! Until then, we’ll see you on the ladder!